The Seahorses are delighted to announce the addition of a new Assistant General Manager for their USL League II program. Brandon Gonzalez is not a new name to the PDL Seahorses. Brandon played for the Seahorses from 2006 to 2010 as well as playing for one year of PDL in Seattle, Washington. He holds a Bachelor’s degree in Sociology from Biola University and an M.A. in Coaching and Athletic Administration from Concordia University. 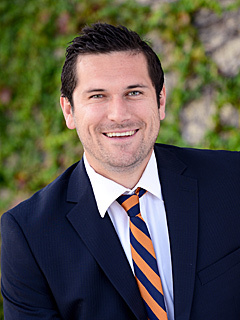 Brandon is currently Director of Athletics and Student Life at Pacifica Christian High School-Orange County. He began and oversees 17 Varsity Programs. He is also the Varsity girls’ soccer coach. Prior to Pacifica Christian, Brandon was the Associate Athletic Director and Director of Girls Soccer at The Bear Creek School in Redmond, WA. There he oversaw 23 high school sports teams and 14 middle school sports programs. While coaching at Bear Creek he led his team to three straight State Finals winning back-to-back State Championships in 2012 and 2013.